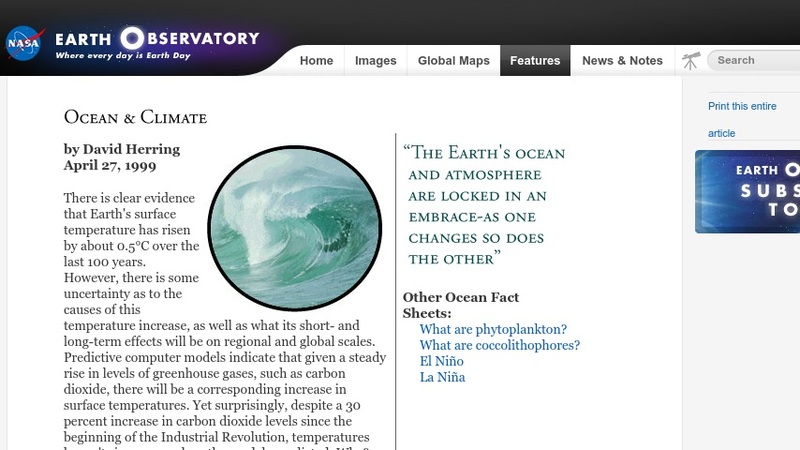 This webpage, one of NASA's fact sheets, describes the role of the oceans, clouds, and aerosols in moderating climate, which has resulted in less-than-expected temperature increases as carbon dioxide levels have increased. It also describes the efforts of scientists to construct computer models to understand interactions between the atmosphere and ocean, and to perform space-based oceanography using the Earth Observing System (EOS). The site features text, pictures, and links to other relevant NASA sites.